Eggless Ginger Cookies: Life has been very stressful and busy since December and I hadn’t baked anything for more than a month now. Once everything started to settle down at the home front, I was too lazy to bake or was just not in that mindset. Finally got enough push from my husband to start my usual routine and made these soft ginger cookies using molasses. I had some leftover molasses after making these vegan gingerbread waffles and whole wheat gingerbread cookies. 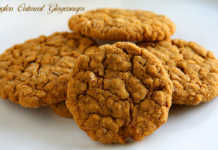 The kids loved the gingerbread cookies I had baked earlier so wanted to bake something with molasses and ginger flavor. 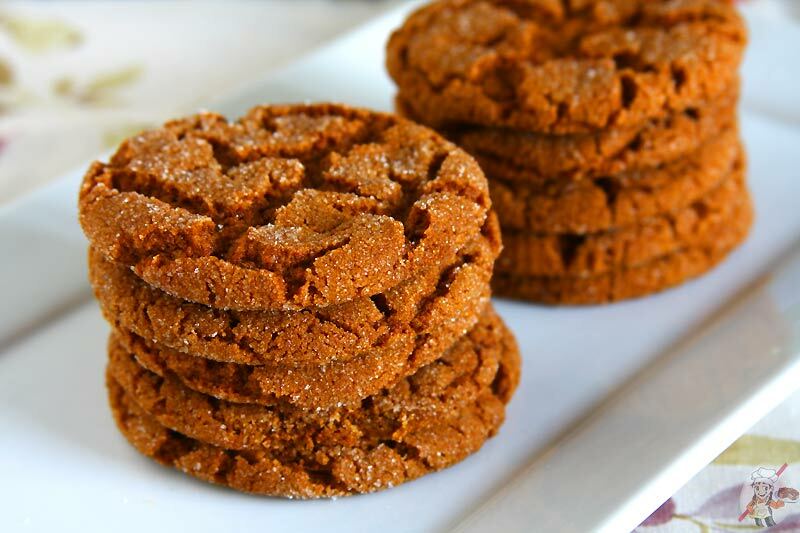 I already have a whole wheat gingersnap cookie recipe in the blog. 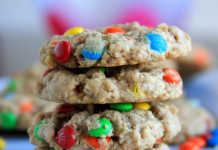 When I was wondering what to bake, I found this recipe bookmarked in my favorite recipe website, Taste of Home. Whatever recipe I bake from this website works like a charm and it’s always a huge hit and so were these eggless soft ginger cookies. It had the perfect sweetness and ginger/spice flavor. The cookies were soft,chewy and big. It had spread beautifully with little cracks on the top and looked very rustic. 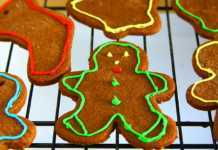 This easy, soft ginger cookie recipe without eggs will be a sure hit with it’s perfect taste, flavor and texture. You can try replacing half of the all-purpose flour with whole wheat flour for more robust flavor. In a very small bowl, whisk together a tablespoon of flaxseed meal and 3 tablespoons water to make flax egg and set aside. Stir in the flax egg and molasses; beat well. To the wet mix add the flour, ginger, baking soda, cinnamon, cloves and salt and mix well. If you feel that the dough is sticky (mine was a bit sticky), put it in an airtight container and refrigerate the dough for about 30 minutes. When you are ready to roll out the dough, preheat the oven at 350F/180C for 15 minutes. Meanwhile take about a tablespoonful of dough, roll it in the palm of your hands and then roll in sugar. Place about 1.5 inches apart on ungreased baking sheets. Bake at 350Â° until lightly browned, 10-12 minutes. Remove to wire racks to cool. Once the cookies are completely cooled, store it at room temperature in airtight container. As always test bake at least 2 cookies to see how it spreads so that you can adjust accordingly for the remaining of the dough. The cookies spread beautifully, so I didn’t have to flatten the dough even a little bit and also knew that it needed a gap of about 1.5 inches at least to avoid sticking to each other.